If you aren't enjoying your luxurious villa or the fine dining on St Barts or being pampered by one of our masseurs, water-sports is the most popular activity on St Barts. If you are a beginner — even if you’ve never been on a board before; intermediate or a pro-level surfer, St Barts is just the perfectly place to pick up a board and hit the waves. We can arrange board hire, and depending on your ability and experience, recommend the best locations to get the most out of your trip. If you need us to, we can take you there and pick you up, even deliver boards to your accommodation. Based all over St Barts, our experienced instructors will teach you how to surf, or how to improve your skills. The Tradewinds give St Barts almost constant wind and the beaches on St Barts are ideal for all levels, from the flat calm of Grand Cul de Sac, to the "Washing Machine" in Toiny. 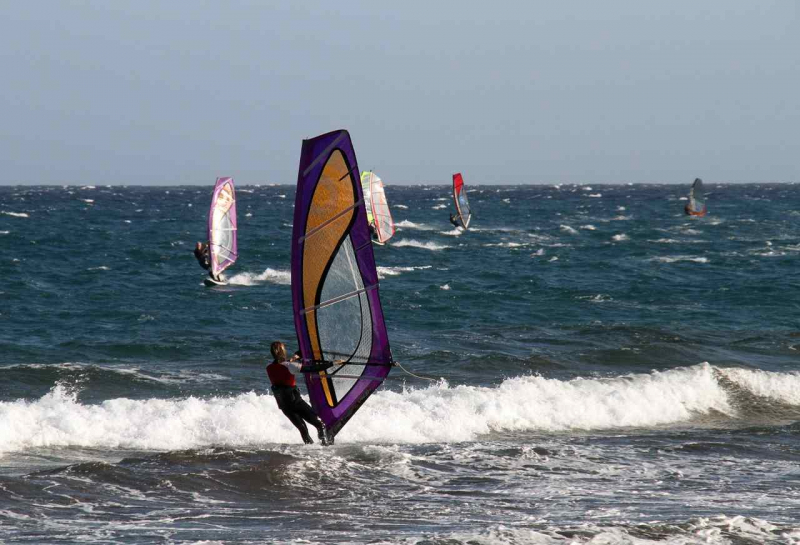 Premium IV can organize Windsurf boards and lessons, advise you where to go, and even put you in touch with local veterans. 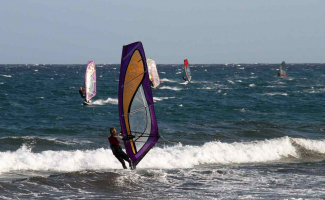 The bay of Grand Cul De Sac is ideal for kitesurfing on St Barts. The reef closes the mouth of the Bay so the water remains shallow and calm, which is ideal for beginners or advanced kitesurfers working on their technique. You can bring your own equipment, rent some, or take lessons or pointers from the professional Enguerrand. Stand-up paddle boarding was an ancient form of surfing and reemerged as a way for instructors to manage larger groups of students, it gave instructors a higher viewpoint and better visibility. 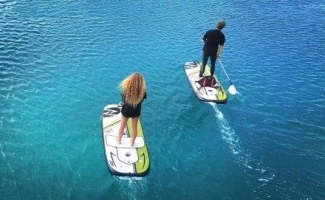 It is increasing in popularity, and Stand up paddle boarding is now a sport in it’s own right, and it’s a brilliant activity for first-time participants. Electric surf boards to enjoy speed over water. Cruising over the water surface for the most adventurous ones and extreme performances for adrenaline fans. Contact us for details and prices, as well as any question you might have.